Probably due to the fact that Saskatoon is currently experiencing a high vacancy in downtown office, parking rates have not increased in the past year. Regina however is reporting an average five percent increase over the same period. We collect the data for surface, surface with plug-in, covered and heated underground stalls. When the high and low numbers are averaged in each of those categories we come up with a median rate of $190.00 per month in Saskatoon and $195.00 per month in Regina. 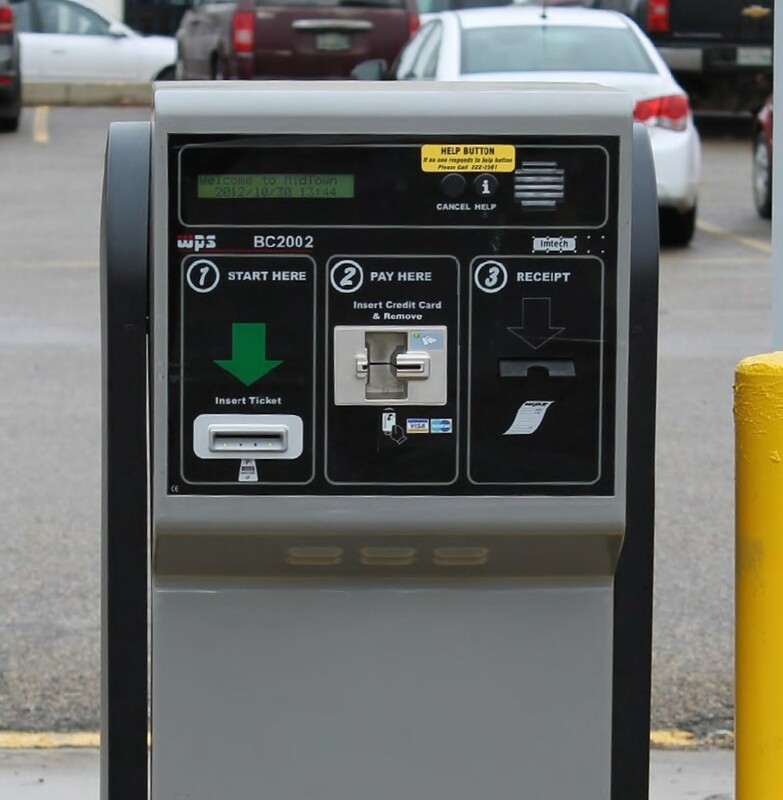 It’s interesting to note however that we have monthly rental rates as high as $385.00 for heated underground in Saskatoon whereas that maximum rate in Regina is only $300.00 per month. 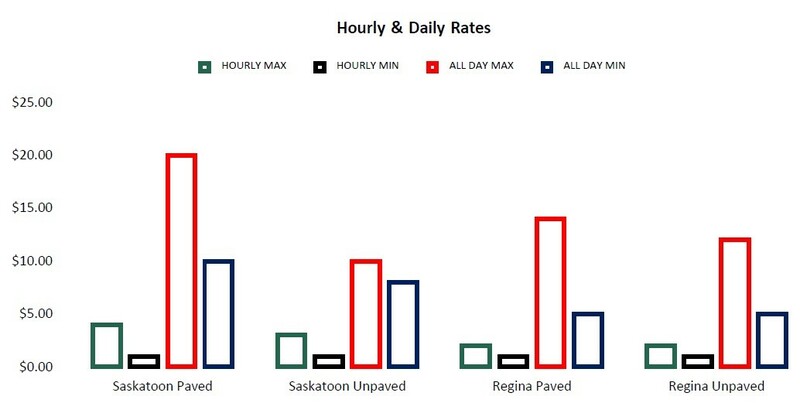 As you can see from the above chart, Saskatoon paved surface stalls command a considerably higher price at $20.00 per day than the same category in Regina at $14.00 per day. These numbers are in spite of the fact that there are more surface stalls available in downtown Saskatoon. Another interesting difference is the all day minimum rate is $5.00 in Regina and $10.00 in Saskatoon.